When I first became a Heathen in the days before Facebook and a plethora of digital archives, the Hammer Rite was a staple of Heathen ritual. Most, if not all, of the blots, fainings, and sumbles I attended were began with that familiar call of “Hammer of the North! Hallow and hold this holy stead.” I have fond memories of my own rites as a new Heathen, and the excitement of being in a sacred space. As time has passed, more and more information about the Arch-Heathens come available, we have discovered that the history that was used to create the Hammer Rite is flawed. While the Hammer Rite was once a temporary bridge across the vast chasms of gaps of knowledge, modern Heathenry has grown past needing the Hammer Rite to conduct ritual. 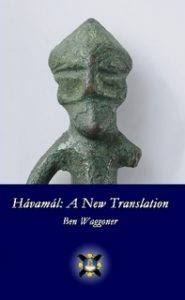 To understand how this flawed history was used to create the Hammer Rite, we need to first examine these ideas and how they came into modern culture. 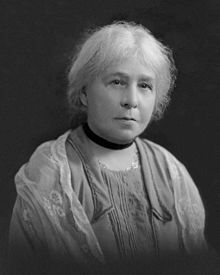 While there are many events in the late Victorian age that influenced modern Paganism, the largest influence came from a woman named Margaret Murray. Murray is described as an Anglo-Indian Egyptologist, archaeologist, anthropologist, historian, and folklorist. She was the first female lecturer in archeology in the United Kingdom, and served as president of the Folklore Society, a very prominent British organization that is almost 140 years old that has published yearly journals, and has curated over 15,000 books on British folklore. 1 Murray was also a fan of a Johann Jakob Bachofen*, who put forth the Das Mutterrecht (Mother Right) hypothesis that all societies were once a matriarchy, a hypothesis that respected scholar and mythologist Joseph Campbell said stood in radical opposition to the Aryan origin theories of religion, culture and society, and suggested that Bachofen’s theories only adequately explain the development of religion among the pre-Aryan cultures of the Mediterranean and the Levant, and possibly Southern Asia, but that a separate, patriarchal development existed among the Aryan tribes which conquered Europe and parts of Asia in his book Occidental Mythology. Founder of Wicca Gerald Gardner was also a member of the Folklore Society where he had access to Murray’s research, and as a result, he adapted many of Murray’s ideas when he created Wicca sometime between 1939 and 1956. 4 5 For many years, Wicca was seen as historically valid because it was in agreement with Murray’s widely accepted Witch Cult hypothesis. 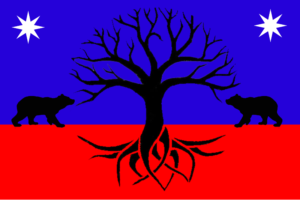 During the late 1960’s and early 1970’s, the first sparks of what is now the Asatru/Heathen movement began to stir. 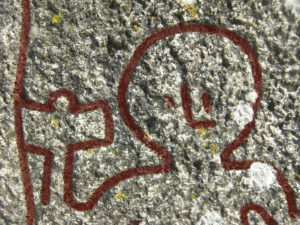 6 Unlike modern Heathens, the first group of people who attempted to revive Heathenry didn’t have access to as many academic sources and information. Much of what was available was out of date, or heavily influenced by Freemasonry and ceremonial magic such as the writings of Alexander Rud Mills, one of the first documented Odinists. 7 As a result, they worked with what they had. One of the pieces they did have was Wicca was a historically accurate religion. Since Wicca encompassed an Anglo-Celtic perspective, and the idea that there was a homogenous cult prior to Christianity, it makes sense for those Heathens to look to Wicca for clues as far as structure in ritual. The Hammer Rite is part of this legacy. The idea of casting a circle, calling forth the directions, and using a sacred object to so is common in Wicca and in the magical practices of Freemasonry, Thelema, and Ceremonial Magic that influenced Wicca. 8 This allowed them to start some sort of practice that honored the Gods. Their praxis wasn’t correct, but it was at least an effort to do something to revive a dead religion. 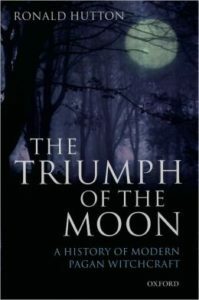 The idea of Wicca being a historically accurate religion began to fall apart in 1999 when Ronald Hutton published The Triumph of the Moon. Hutton, a professor at the University of Bristol who specializes in pagan British religion, conducted detailed research into the claims that Wicca was “the old religion.” His conclusion was that Wicca was “a mélange of material from relatively modern sources.” Hutton effectively demolished the notion, held by Wiccans and others, that ancient pagan customs existed within medieval Christian practices. This research reveals that outside of a very small number of traditions, such as decorating with greenery at Yuletide and celebrating May Day with flowers, no pagan practices have survived from antiquity. Hutton found that nearly all rural seasonal pastimes once viewed as “timeless” fertility rituals, including the Maypole dance, actually date from the Middle Ages or later. This research helped lead to a widespread consensus among historians that Catholicism thoroughly permeated medieval Europe, with their culture of saints’ shrines, devotions, and even charms and spells. The idea that medieval revels were pagan in origin actually come from the Protestant Reformation. Hutton also challenged the Wiccan narrative ancient Goddess worship. His strongest argument against the theory of Goddess worship is that pre-Christian Europe believed in many gods and goddesses, being true polytheists. The concept that their gods and goddesses represented different aspects of a single deity was foreign to that culture. The Germanic cosmologies are crowded with discrete spirits. It wasn’t until the second century this idea was introduced by the Roman writer Apuleius, who claimed Isis was in fact the same as other goddesses representing forces of nature. At the same time, Heathen scholarship was beginning to take off. Books such as We Are Our Deeds were published, and Heathens began pulling away from the practices influenced by Wicca. During the last fifteen years, the average Heathen has obtained access to a plethora of academic sources that were not easily accessible before they were digitized on the web. Now almost any Heathen could really dive into what it meant to be a Heathen prior to Christianization, without the need to depend on other Pagan traditions to fill in the canyons we once had in Heathen belief and practice. As a result of the increased scholarship, the Hammer Rite fell out of favor, though some groups still use it. 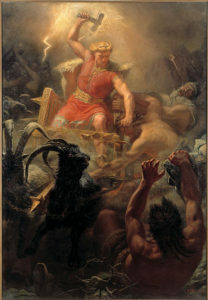 I have found two types of groups that still use the Hammer Rite – those who are more interested in practicing a more Neo-Pagan influenced ritual, and those groups who formed prior to the mid 2000’s, when the Hammer Rite fell out of favor. The latter group has a historical and tradition based reason to continue to use the Hammer Rite, and while I don’t agree with it, I find it hard to argue with an established, regional tradition. Heathenry is coming into its own, and with the existing scholarship, along with current innovations in practice and ritual, we have no need to borrow from Wicca, or any other religion in terms of constructing ritual. 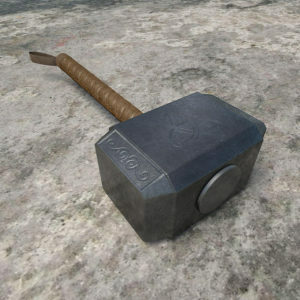 The Hammer Rite is a piece of the past, one we should remember, but keep in the past. * Bachofen never left his house after he retired. 1 (2013). The Life of Margaret Alice Murray: A Woman’s Work in Archaeology. New York: Lexington Books. ISBN 978-0-7391-7417-3. 3, 5, 8 Doyle White, Ethan (2016). Wicca: History, Belief, and Community in Modern Pagan Witchcraft. Brighton, Chicago, and Toronto: Sussex Academic Press. ISBN 978-1-84519-754-4. 6 Snook, Jennifer (2015). American Heathens: The Politics of Identity in a Pagan Religious Movement. Philadelphia: Temple University Press. ISBN 978-1-4399-1097-9. 7 Gardell, Matthias (2003). Gods of the Blood: The Pagan Revival and White Separatism. Durham and London: Duke University Press. ISBN 978-0822330714. The opinions expressed here belong solely to the author, and in no way represent an official position of anyone but the author of the piece. We encourage thoughtful dialogue and comments, but reserve the right to delete and ban those who make bigoted or rude comments.